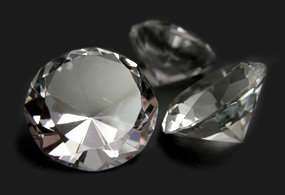 Astary Diamonds must meet strict quality specifications. Each stone falls within the colorless range, sometimes referred to as collection color, and has received a superior clarity and proportion grade. Stones exceeding a half carat will be accompanied by a lab report and certification. Fancy colored diamonds such as pinks, blues and yellows are graded on a different color scale from white diamonds and will always be certified with an official lab report.